Welcome to the Lennox Hearth Parts Store a division of the Cozy Cabin Stove & Fireplace Shop. 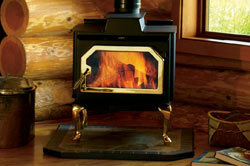 We carry a vast selection of Lennox wood stove, gas stove, pellet stove, wood insert & gas insert parts. PLEASE NOTE: Most part numbers have changed. We may need to lookup your stove model number for you.